[00:27:48]. Remarks on the impact the British Empire Medal (MBE) had on Outbound and himself. Recalls his Involvement in the Network of Networks. [00:41:34]. ML introduces an anecdote about a gay cab driver who inspired and drove the first Ride with Pride taxi. [00:02:06]. Remarks on the second rainbow crossing and its placement outside London Transport Museum. Mentions that the network changed its name from LGBT+ Network to Outbound. 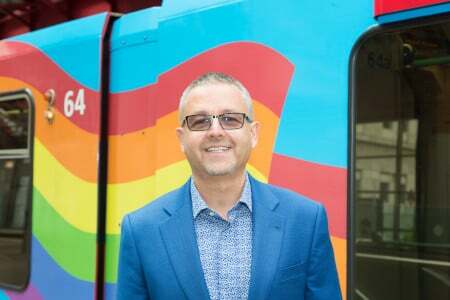 Short summary : Martyn Loukes, chair of OUTbound, TfL’s LGBT+ staff network group, talks about LGBT history month, London Pride and HIV awareness.